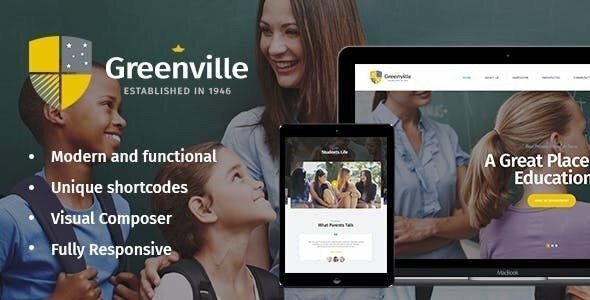 Greenville – powerful, responsive & stylish WordPress theme with trendy design. It’s a perfect option for education establishments, like private schools, colleges and public schools, as well as trainings and courses, both physical and online, tutoring services etc. Also it works for institute, university, academy etc.